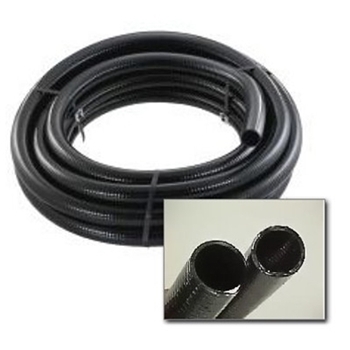 Pond Supplies, Pond Liner & Water Garden Supplies - Black Pond Hose - 1 1/2"
Black PVC Tubing is great for water flow from the pump to a waterfall weir. This black pond hose is very flexible and is smash and kink resistant. PVC Tubing fits Schedule 40 PVC fittings. Simply glue black hose to connectors with PVC cement. Withstands 50 PSI.